What man likes to carry around a pink fluffy or character diaper bag? Not many that I know of and fact is your's probably doesn't want to either. 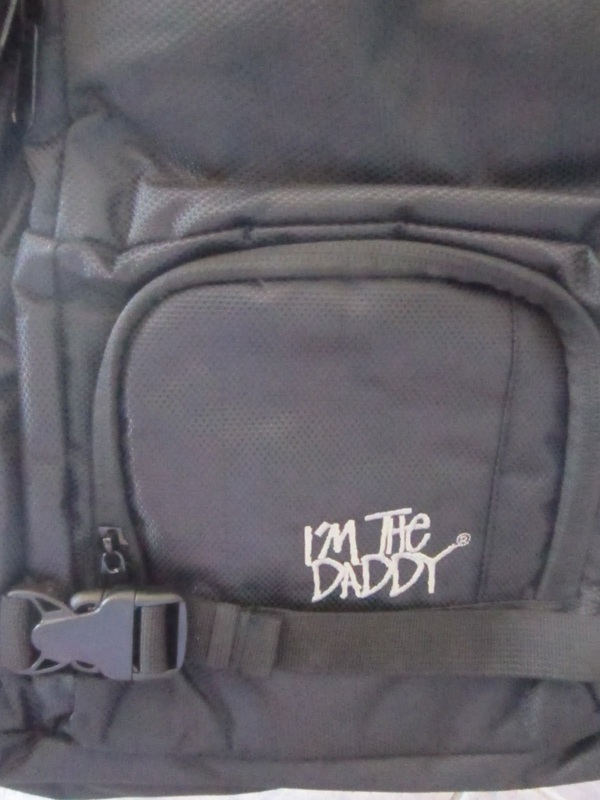 The company DaddyScrubs.com has made a manly Daddy Diaper Bag! It's great. 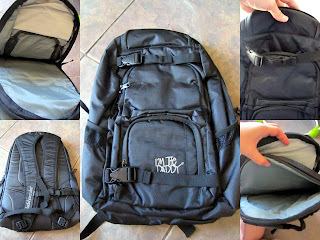 It is basically a heavy duty backpack that you can stuff everything and anything into. The back is a heavy 840D polyester (i'm not sure what that means!) but its heavy duty I mean you can tell from how it feels that it is meant to last. It has 2 bigger areas for clothes, diapers, wipes etc even your laptop would fit nicely in it. There is an insulated cooler pocket for snacks, juice, fruits and whatever else you can think of. Mesh side pockets for a baby bottle, water bottle, any bottle. The best feature is there is even a fleece lined pocket for sunglasses which most dads in Florida wear often. The straps on the backpack are made to take most of the weight, the have heavy padding along with support straps in middle of the waist. There are also 2 front straps for holding stuffed toys or blankets. I love it and my husband likes that now he is not holding a purse or diaper bag it's all in one and it even says "I'm the Daddy"
At Daddyscrubs.com you can also get all kinds of man gifts like scrubs (of course) tees, hoodies, hats and even daddy themed books! Know someone expecting this Holiday season? why not check out Daddyscrubs.com for that one of a kind gift.